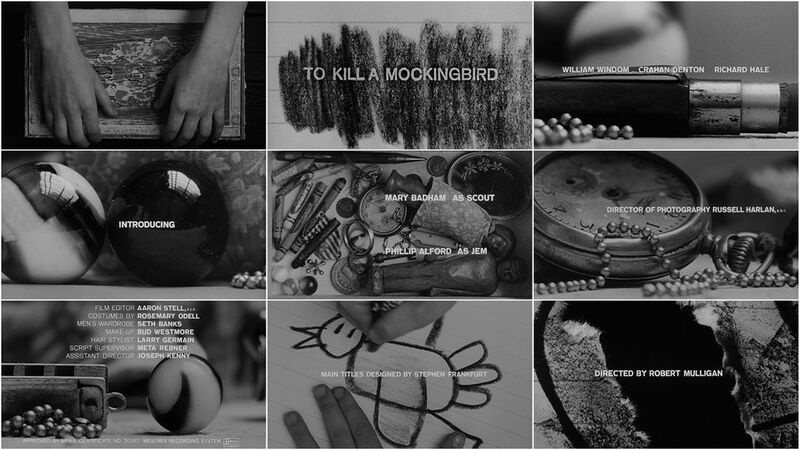 Part of the inspiration for the new opening sequence which uses photographs of some of my previous work came from the opening titles of To Kill a Mockingbird. I felt that this opening sequence was very effective in giving a sense of the world in which the story would take place. It uses objects to represent each of the characters, their personalities, their age, their preoccupations in a meaningful way.